Founder, President & CEO of Penn Tool Co.
Back in 1968 Penn Tool Co. was just a small hardware store on Market Street in Newark NJ. This particular area of Newark NJ was called the "Ironbound" section because of the network of railroad tracks and the large metalworking industry in the area.As a result of the close proximity of The Penn Station Train Terminal, Gene decided to call his business Penn Tool Co. Gene's business started out selling tools much like any other hardware store. As the metalworking industry slowly left Newark NJ, it became very apparent that diversification was needed. Newark NJ and its local economy could no longer support the old method of doing business. Gene smartly transformed Penn Tool Co. into a company specializing in precision measuring instruments for the metalworking community. Gene decided that tools would need to be put into catalogs and sent throughout the United States, thus expanding the market in a new way. He created the catalogs in house which at the time was not very common in the tool industry. Mailing lists were compiled and catalogs sent out. It was a huge success. For over 45 years, Gene Elson has been President of Penn Tool Co. and is still using his knowledge and creativity to make his business the best in its class. Gene can often be found at Industry Trade Shows searching for new and unique products. While relaxing Gene is happiest listening to Jazz, playing tennis, and fishing or boating on the NJ Shore. Gene Elson, President and founder of Penn Tool Co.
Having a visit from overseas supplier. Working on his print catalog. Michael grew up in the tool industry working summers in the shipping department and unloading delivery trucks. After studying business and marketing at the University of Arizona, Michael came back east to work full time at Penn Tool Co. When he first started his career in the tool industry, the only way to reach out to customers was through paper catalogs and using mailing lists to target potential business. With the advent of the Internet, Penn Tool Co., slowly transitioned from the paper catalog to online purchasing over the internet. Throughout the years many lessons were learned and in 2014 Michael spearheaded the re-launch of penntoolco.com. Using his many years of knowledge and experience in the tool business, Michael created the website he felt his customers kept asking for. Every detail of the new website was meticulously thought out by Michael and his new web development advisors. The result is a user friendly website making purchasing tools online a quick and simple process. In addition to website development, Michael is highly trained and certified to do business with the United States Government fulfilling GSA Contracts. 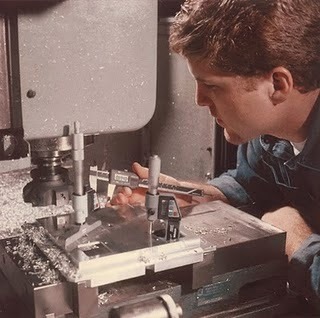 During his many years working in the industry, Michael has personally visited many of the factories that manufacture tools sold at Penn Tool Co. Michael has traveled extensively throughout Latin America, Europe and Asia ensuring the quality of tools sold by Penn Tool Co., meet his strict standards. Michael also is a firm believer in having direct communication with his customers. Aside from being in upper management at Penn Tool Co., you can actually speak to Michael directly anytime by calling 800-526-4956 Ext. 107.